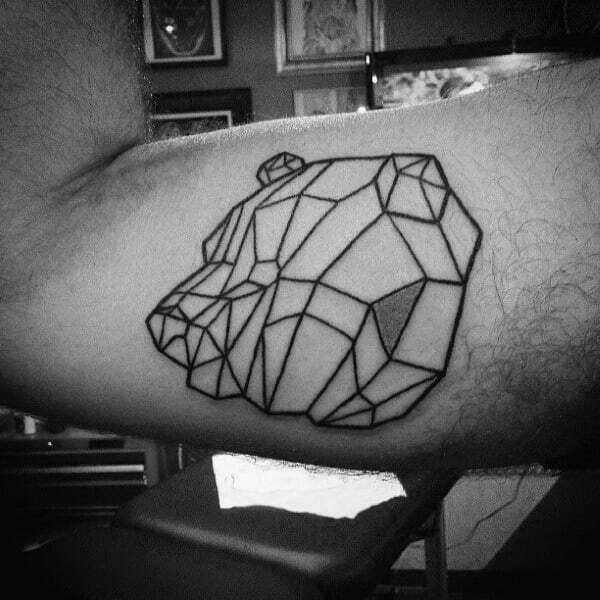 Bears in general are quite prevalent in mythology and are usually seen as epitomes of courage, confidence and power. 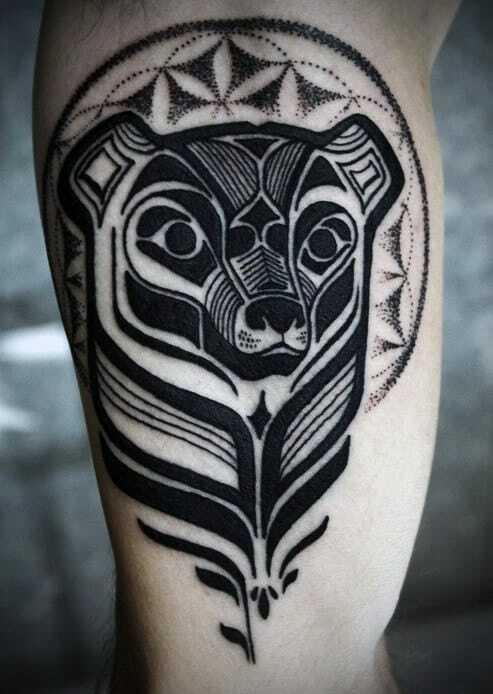 In Norse mythology for instance, Odin (the god) was often illustrated as a bear. 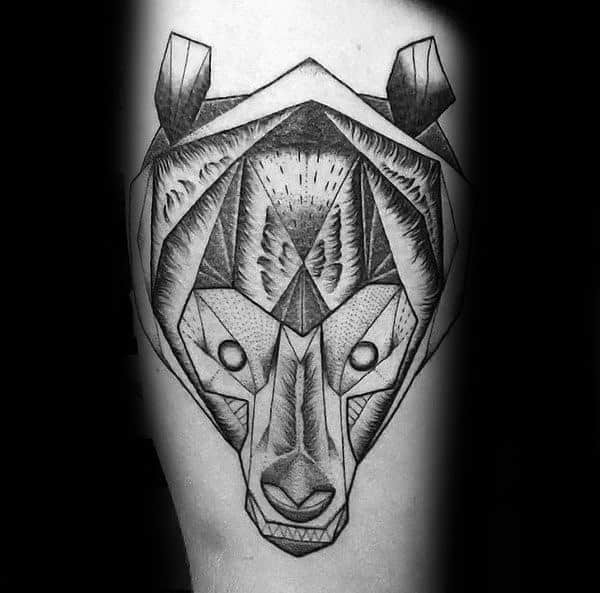 In Native American culture, bears were revered as fantastic warriors and as links to the spirit world who had mystical healing powers. 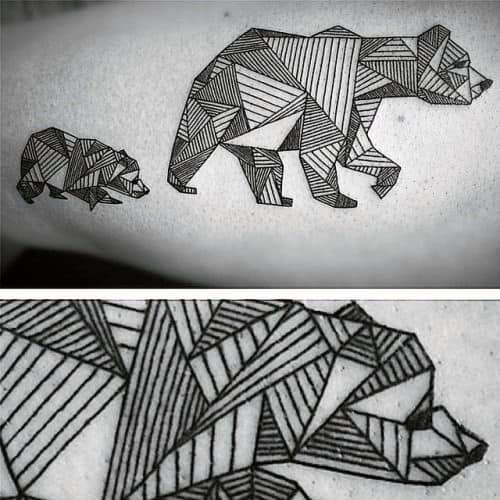 In many cultures bears are also considered to be both guardians and carers for the young. 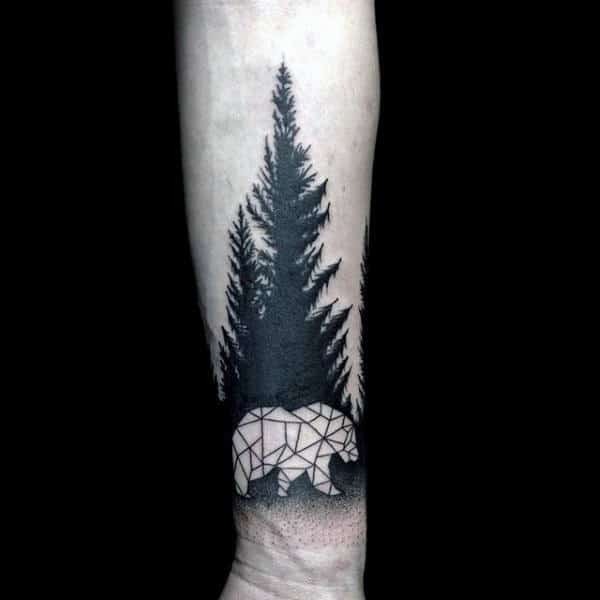 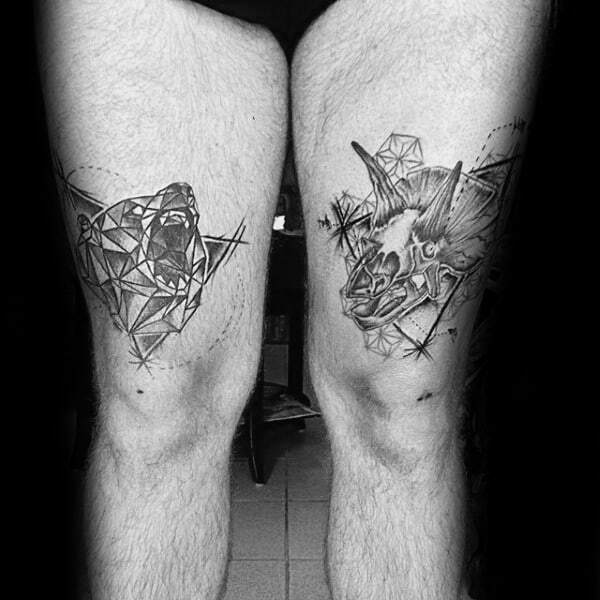 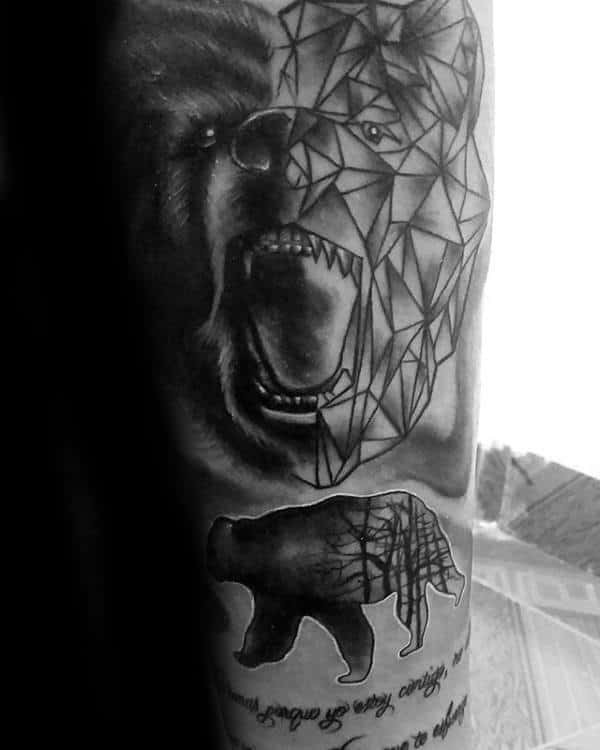 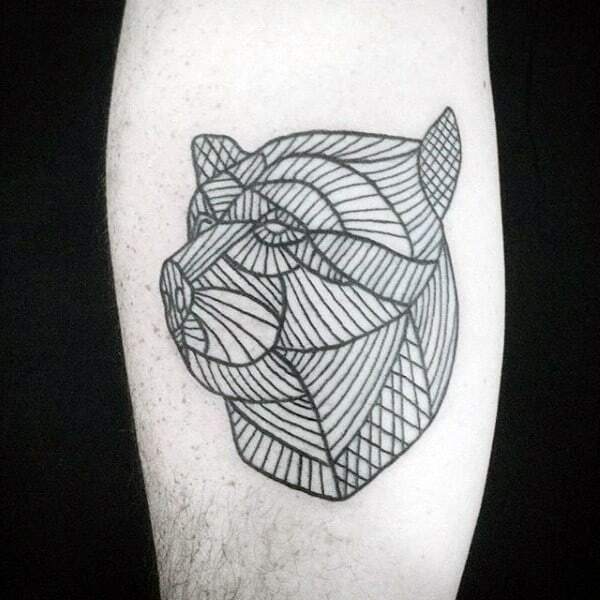 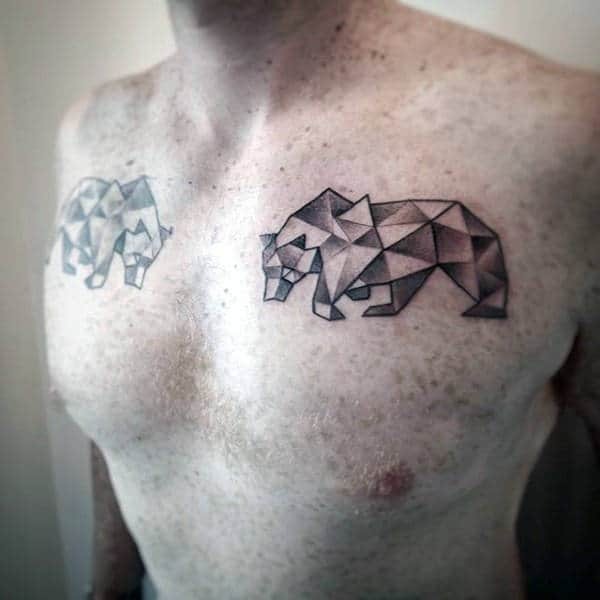 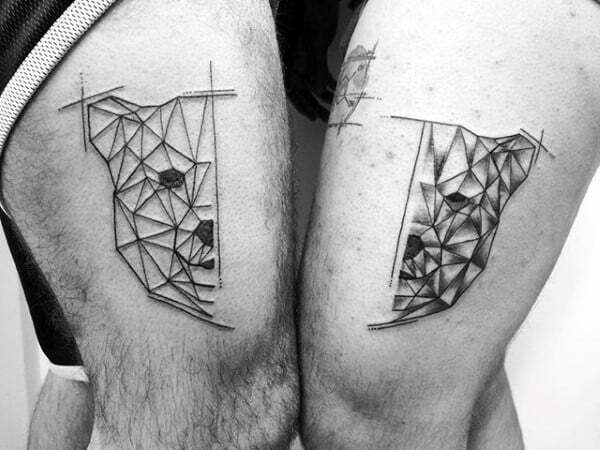 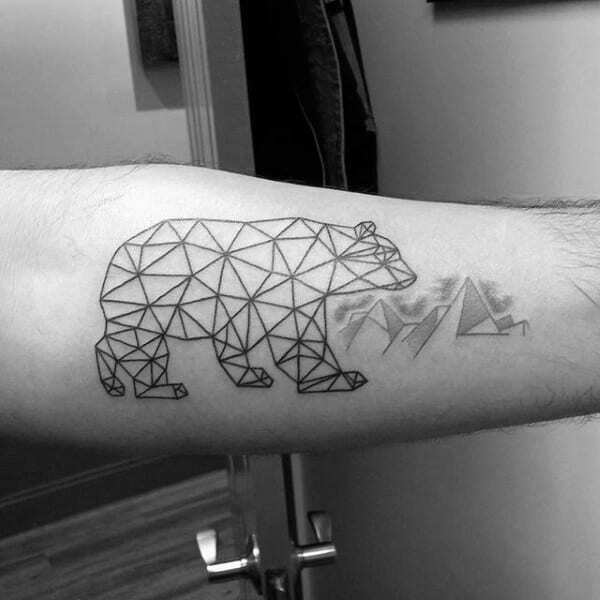 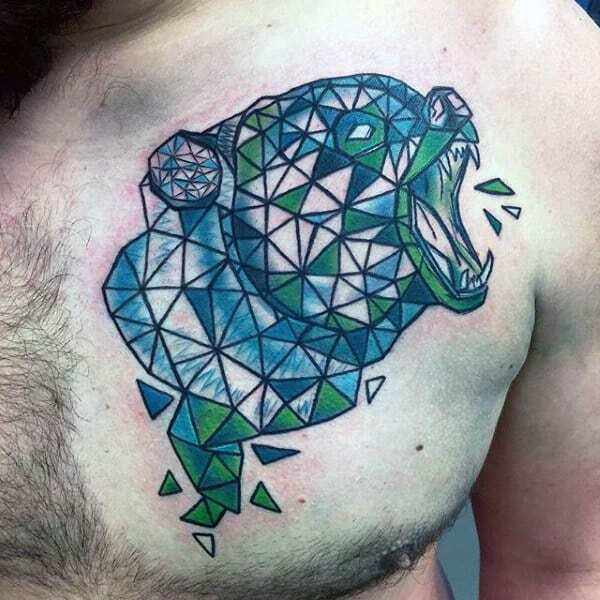 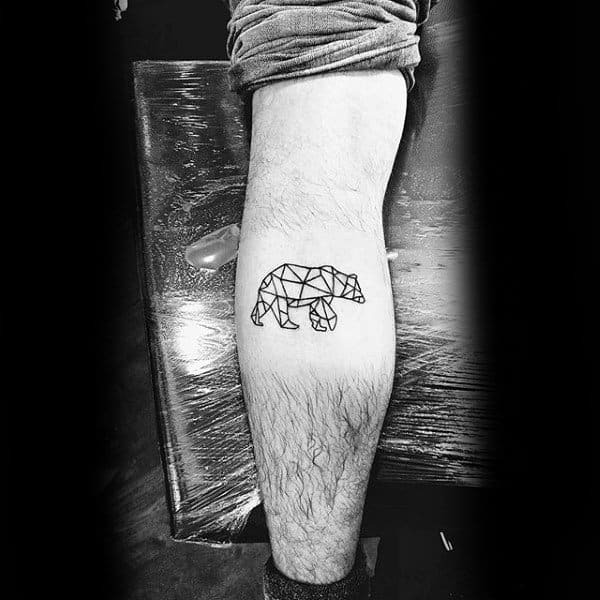 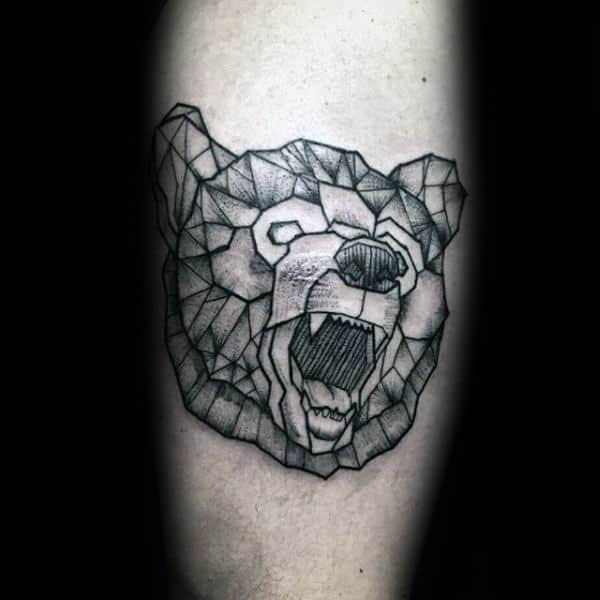 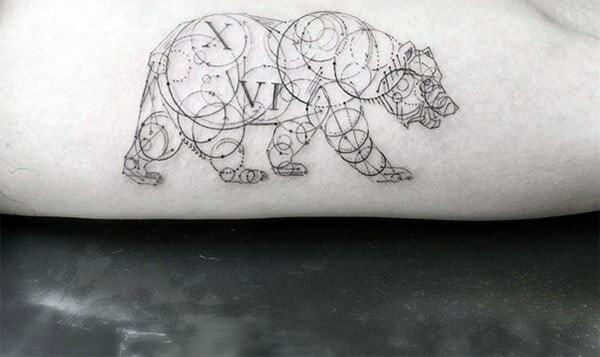 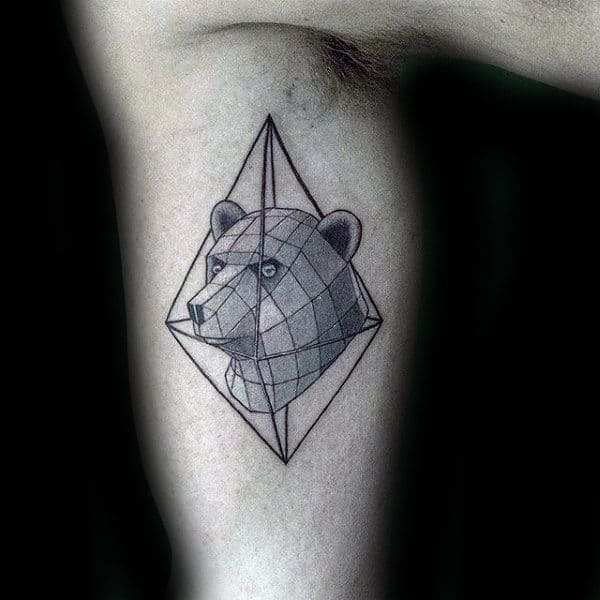 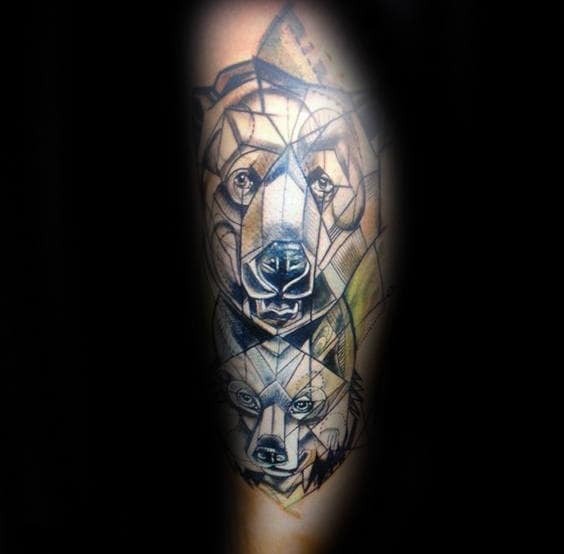 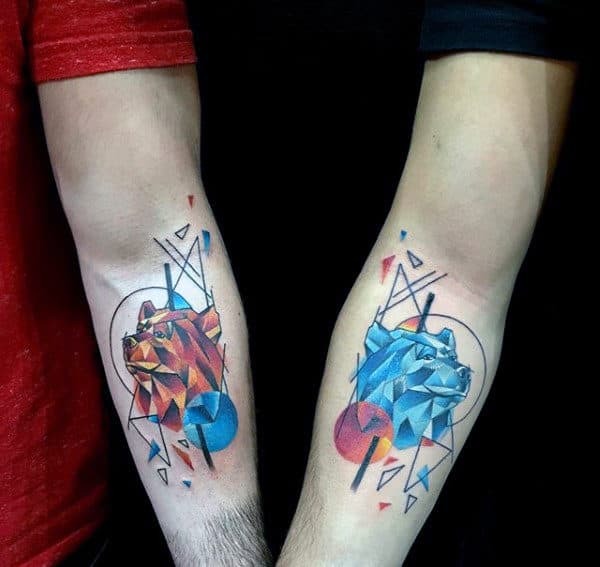 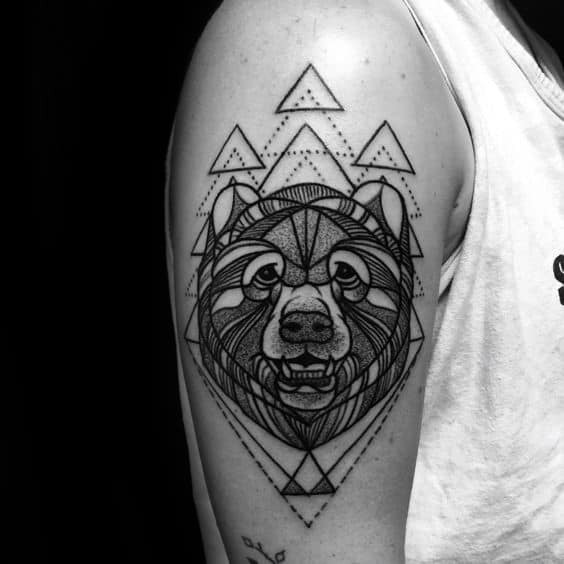 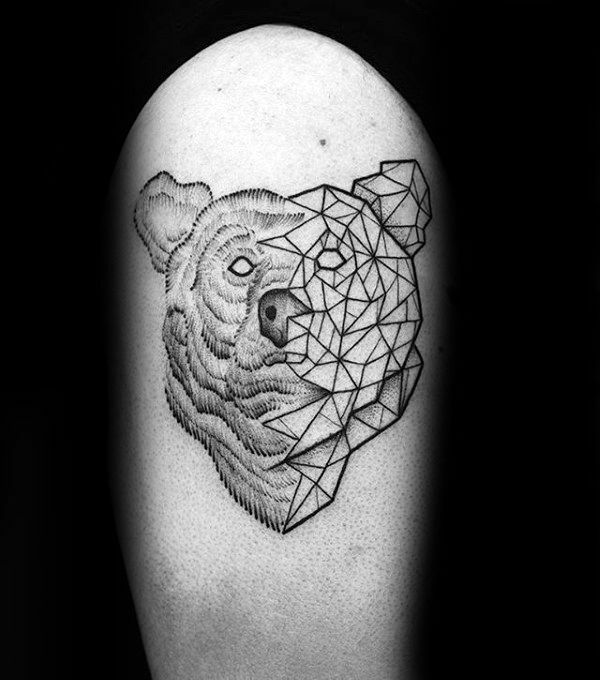 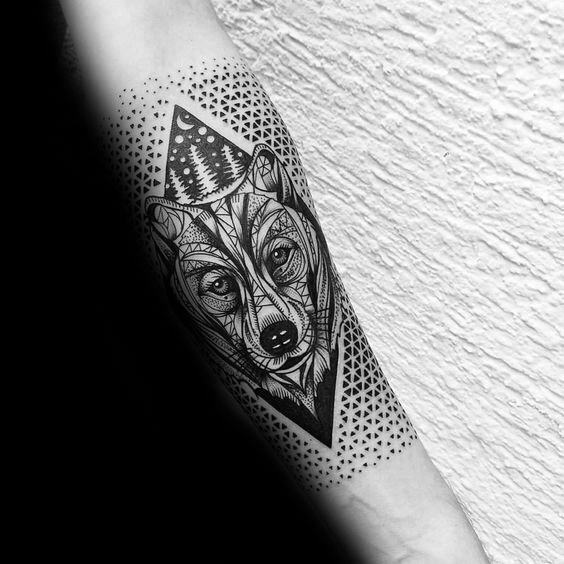 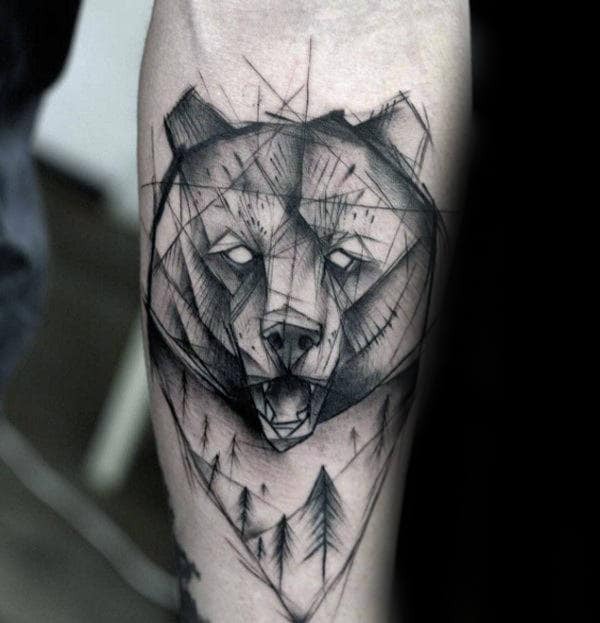 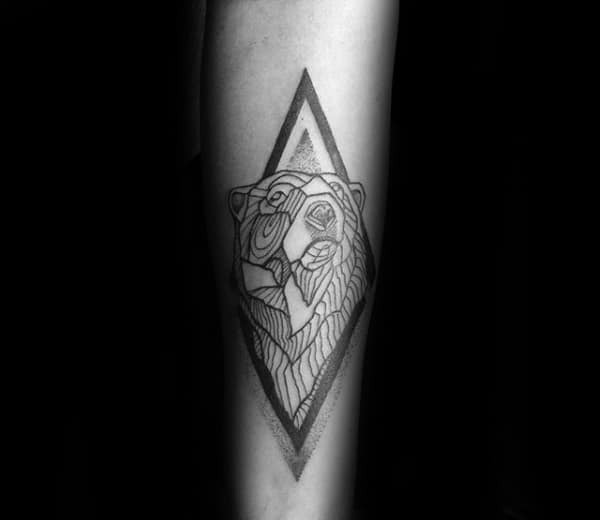 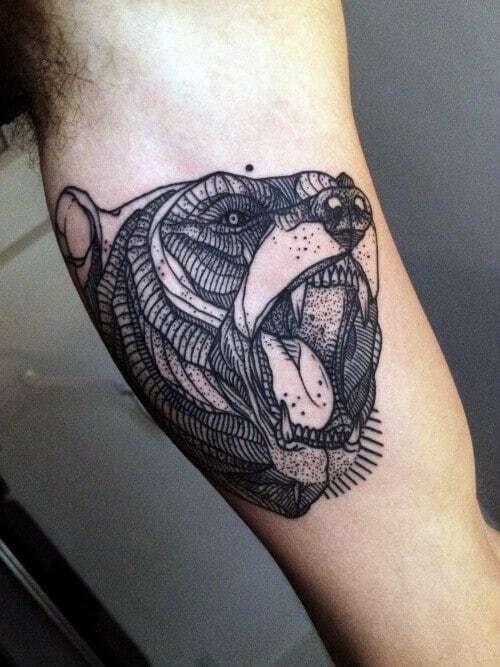 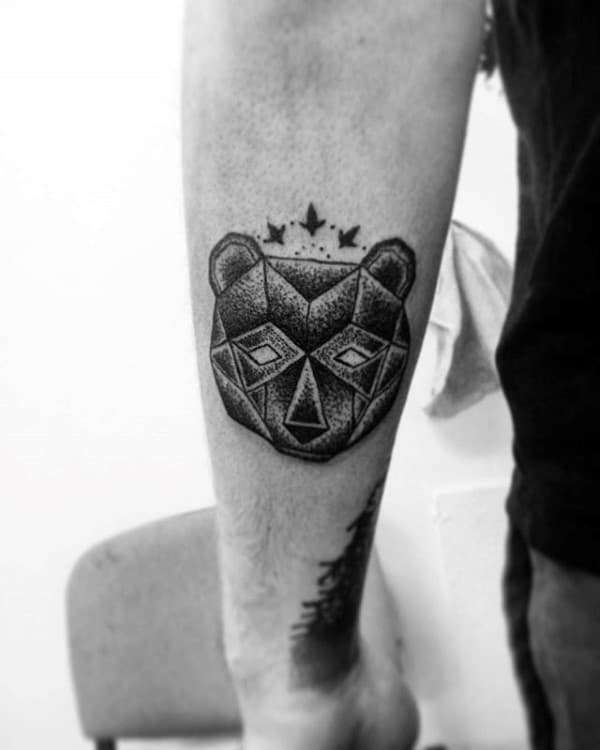 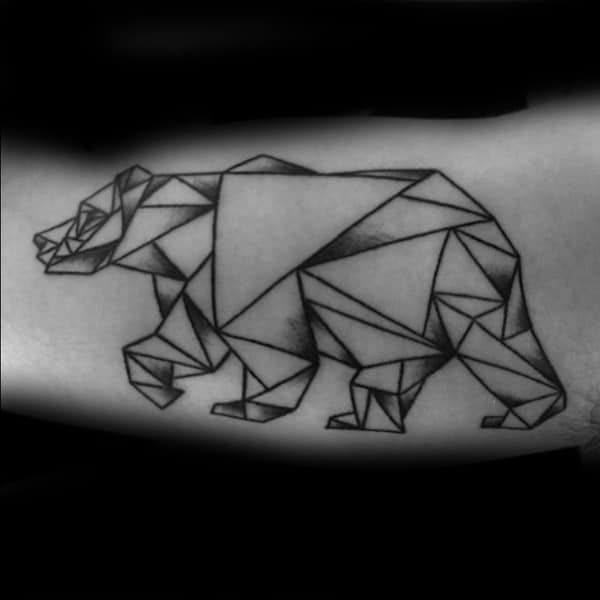 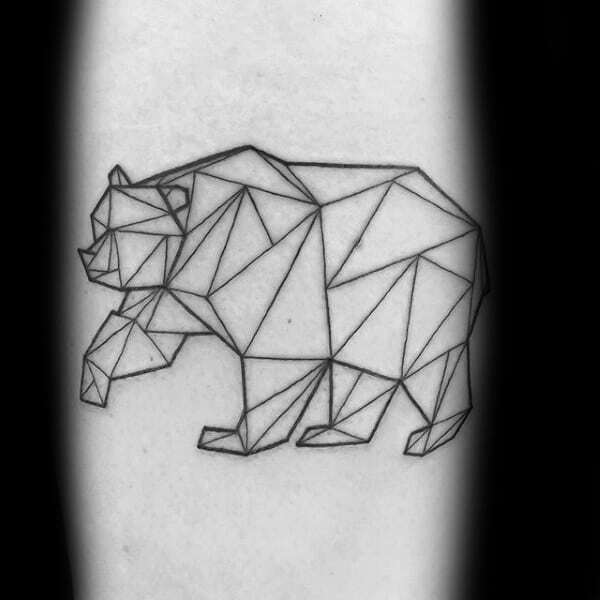 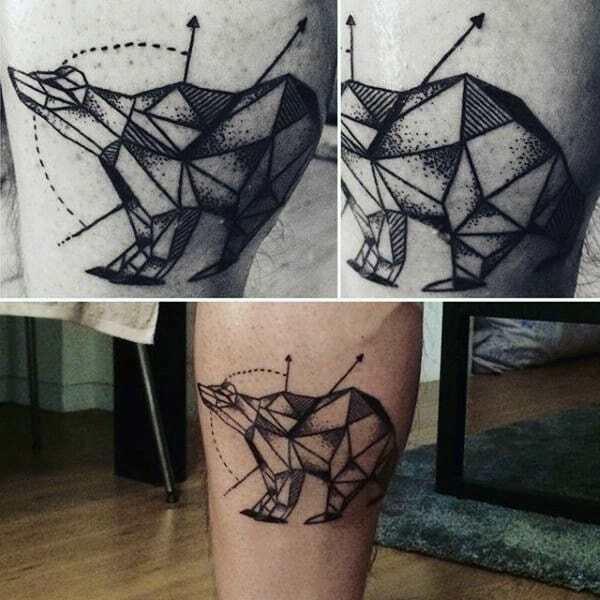 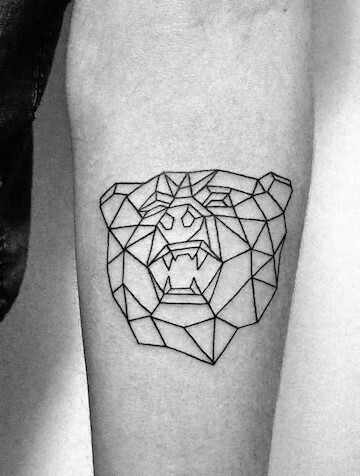 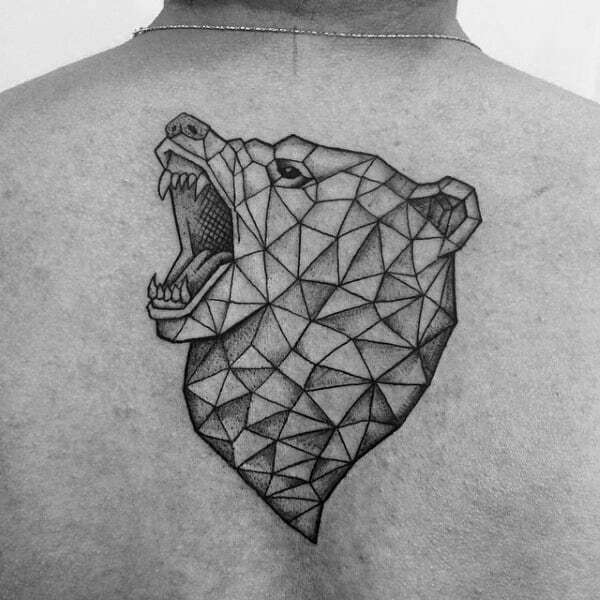 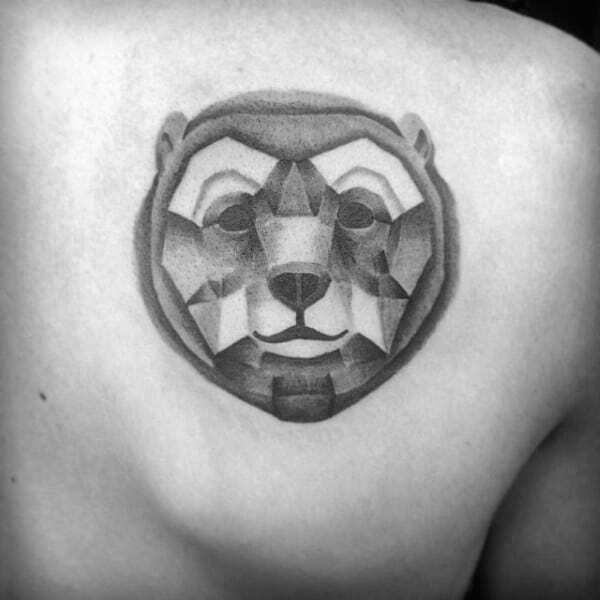 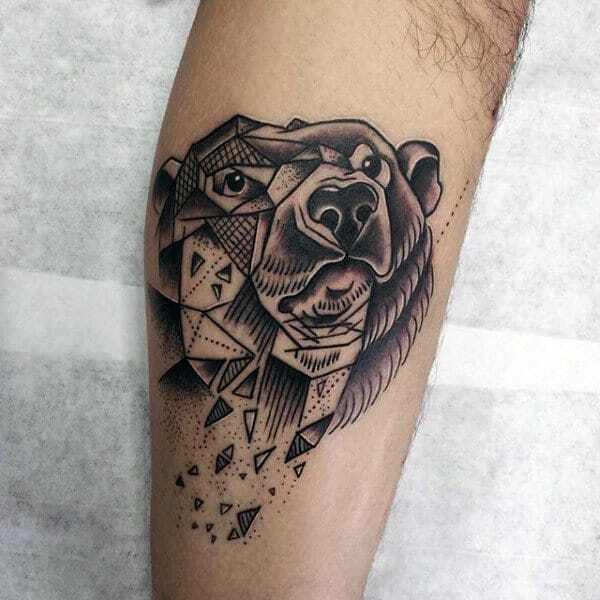 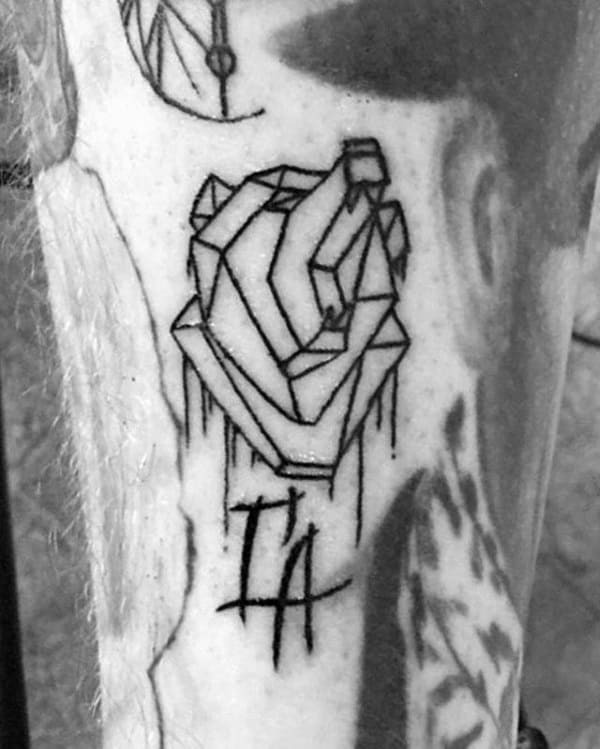 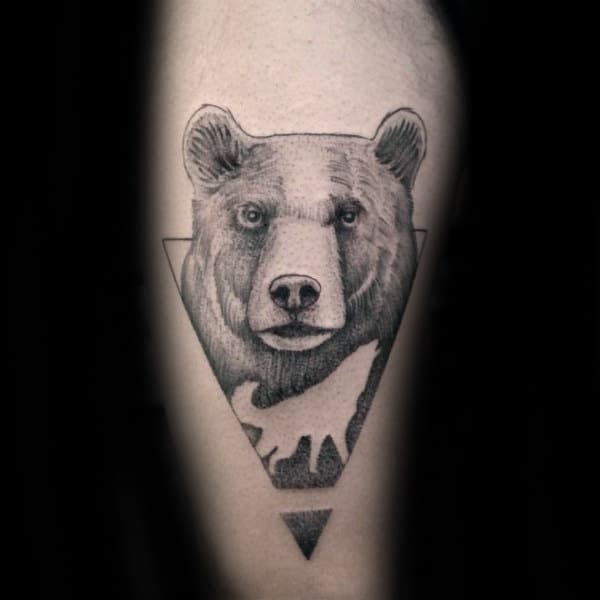 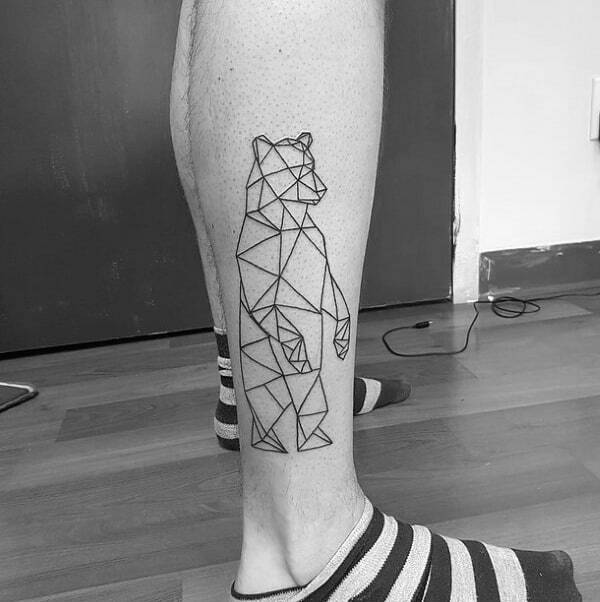 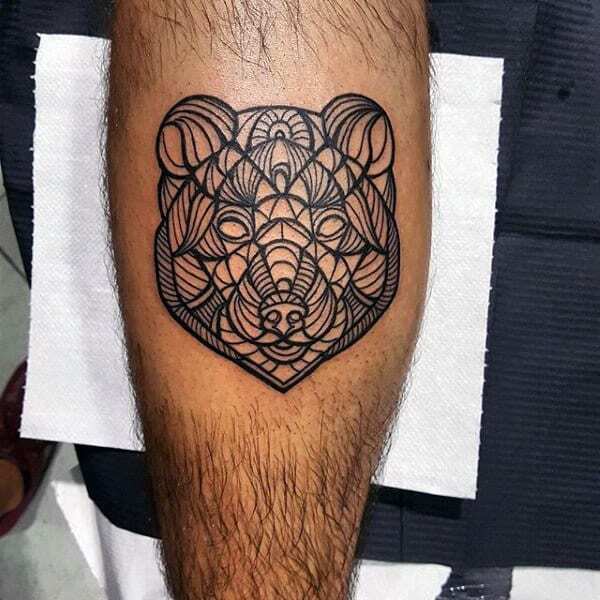 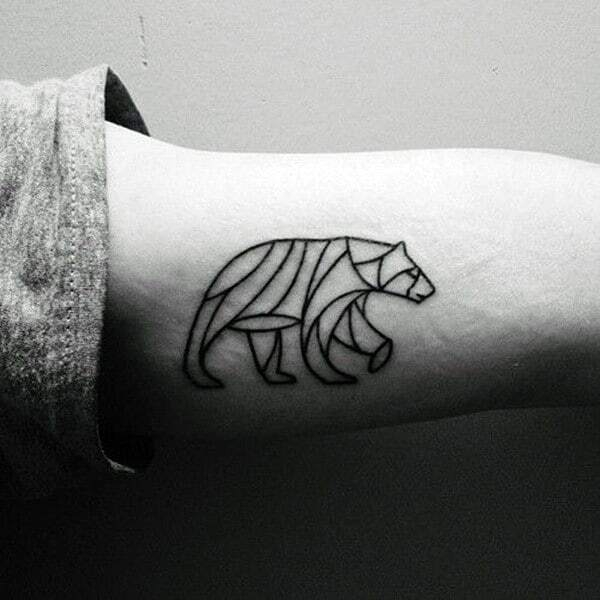 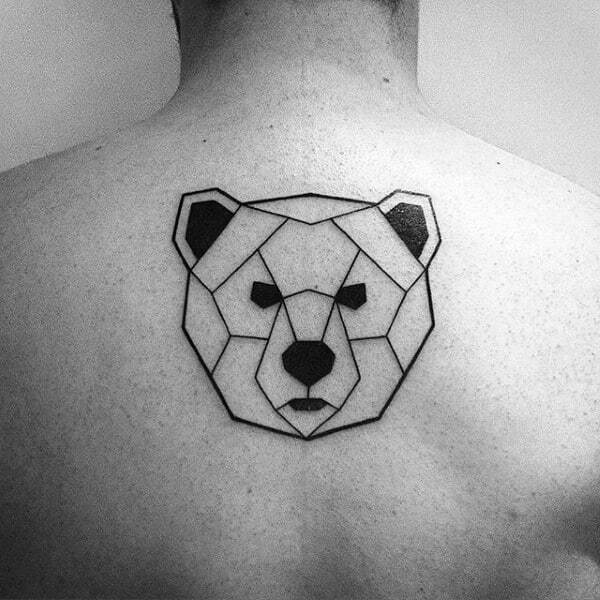 Since the bear is also a highly aloof creature which hibernates in solitude during winter, the geometric bear tattoos can be a way of expressing an introverted nature. 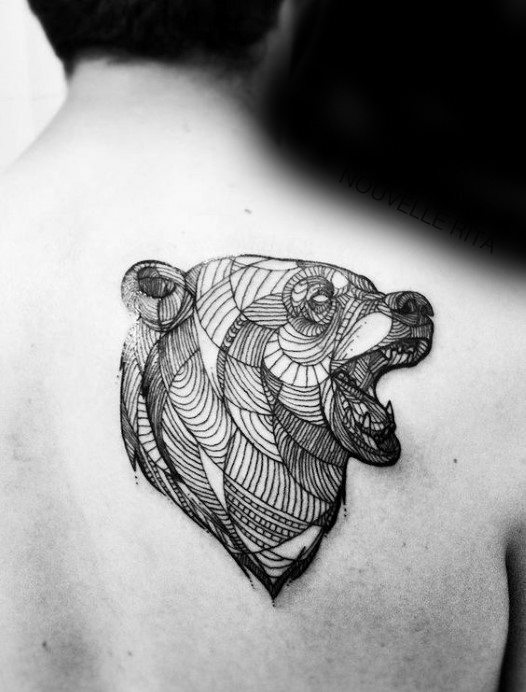 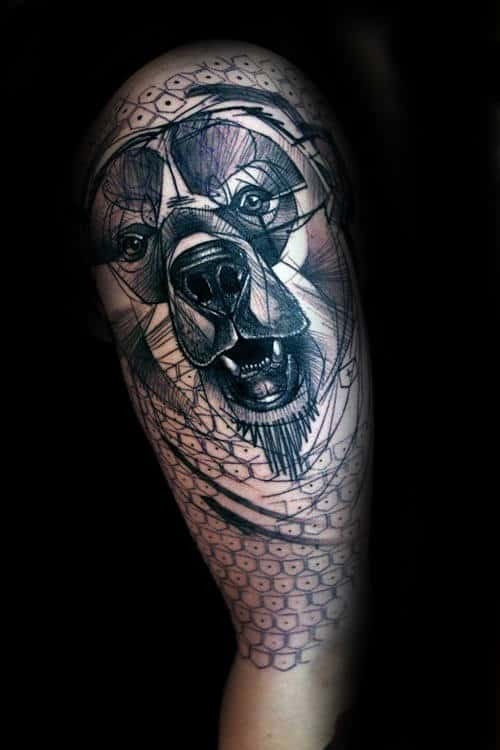 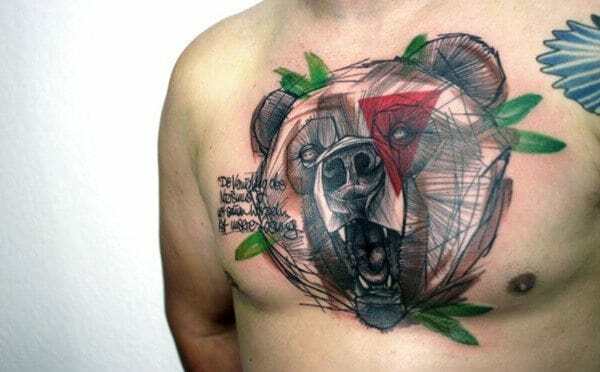 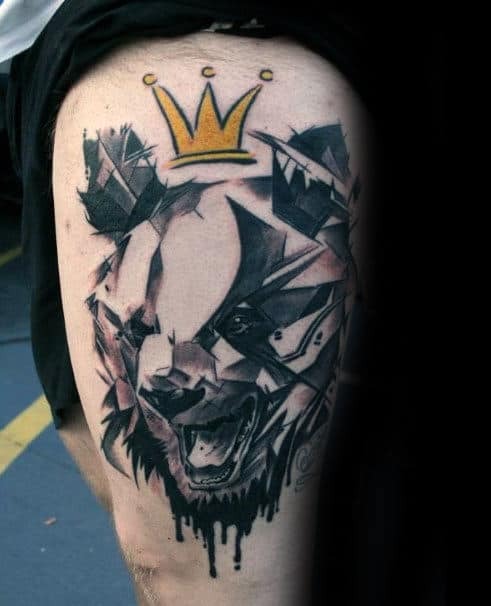 The type and design of bear you pick for your ink can also be a way of further customizing the meaning of your tattoo. 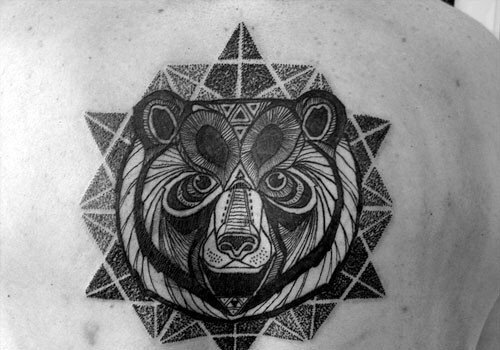 For example, a geometric Celtic bear tattoo reflects your connection to nature. 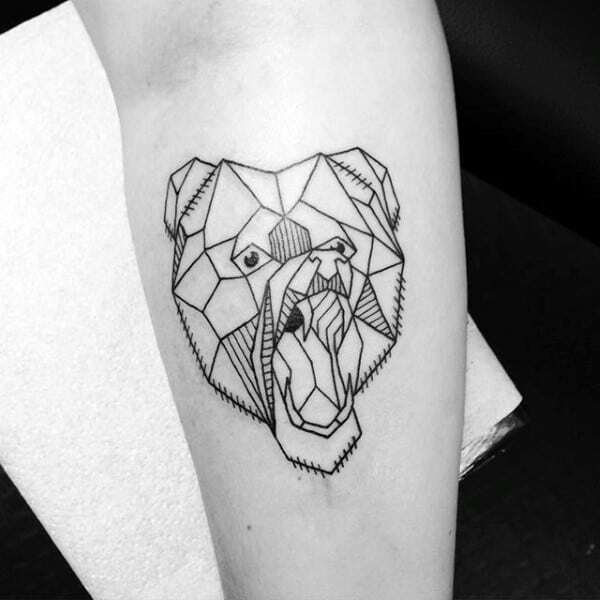 A polar bear tattoo represents a loving and devoted nature…etc. 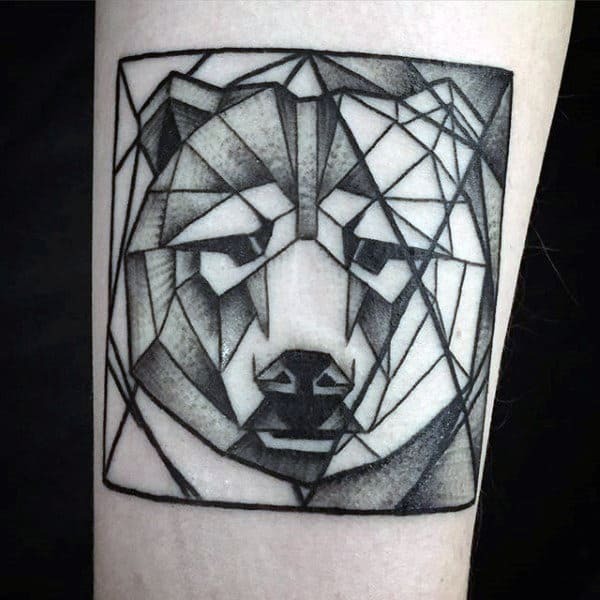 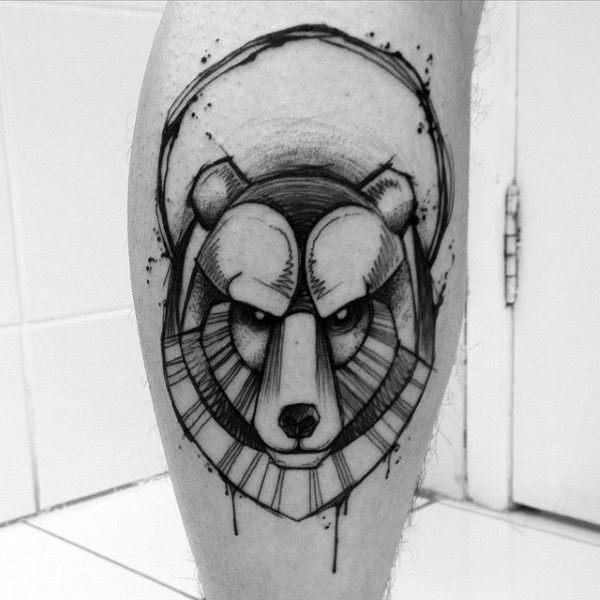 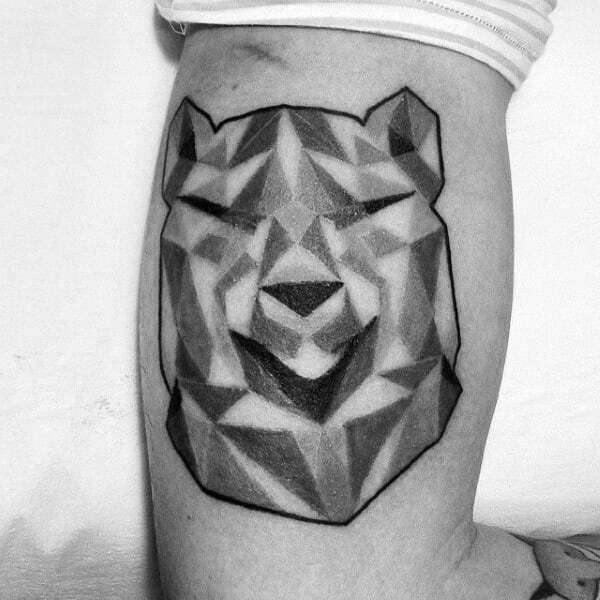 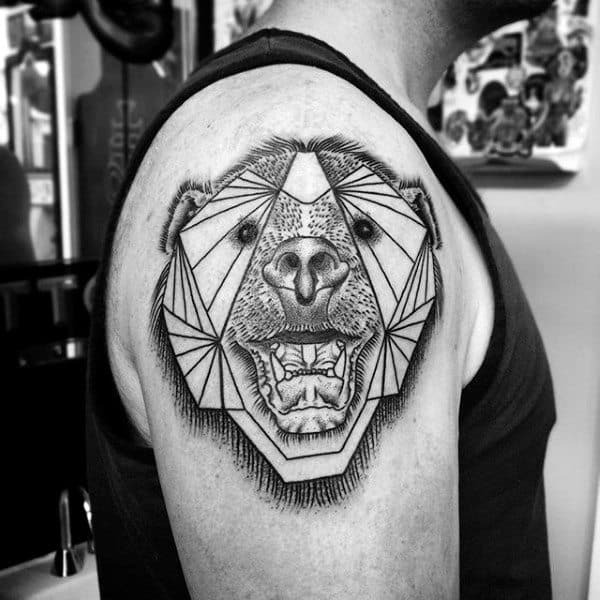 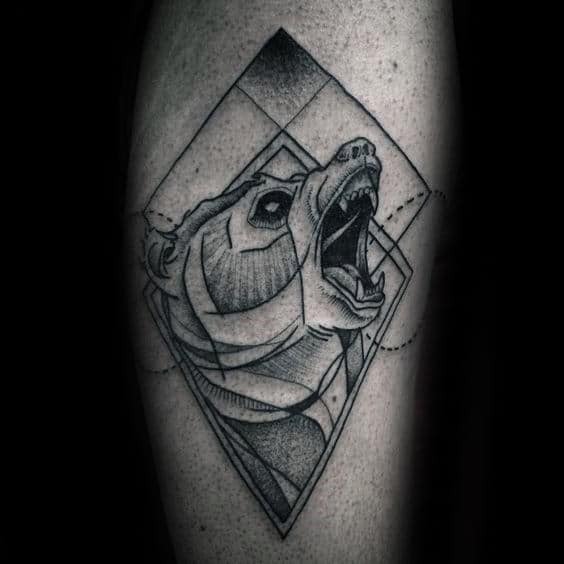 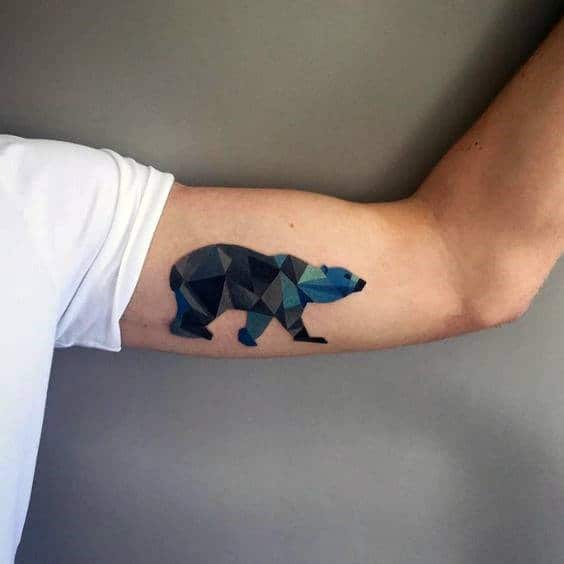 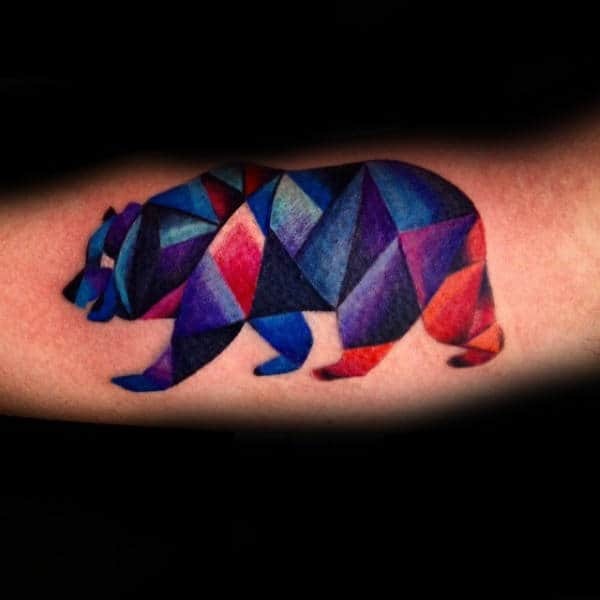 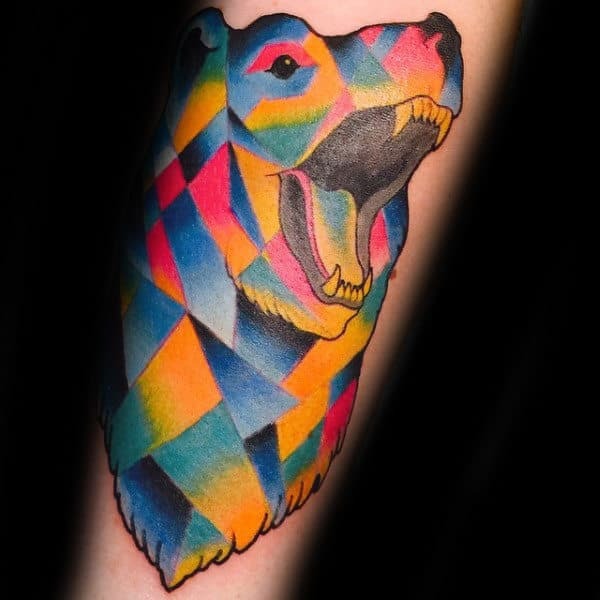 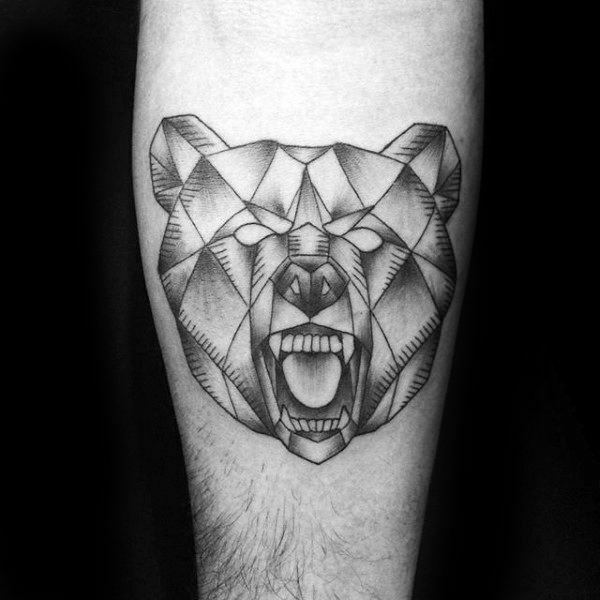 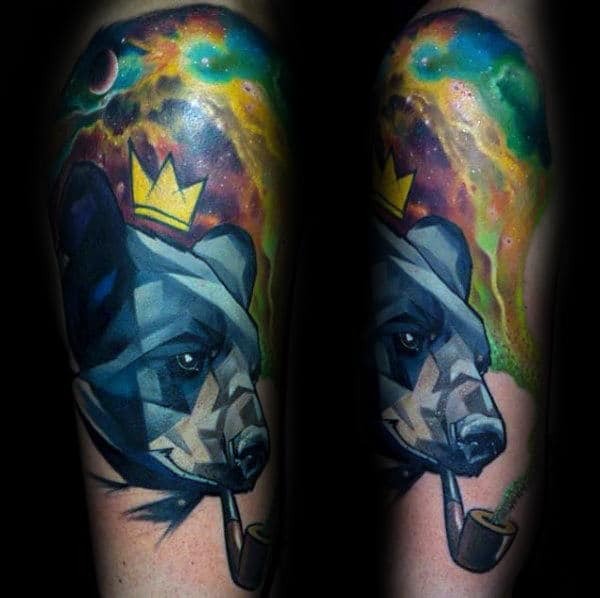 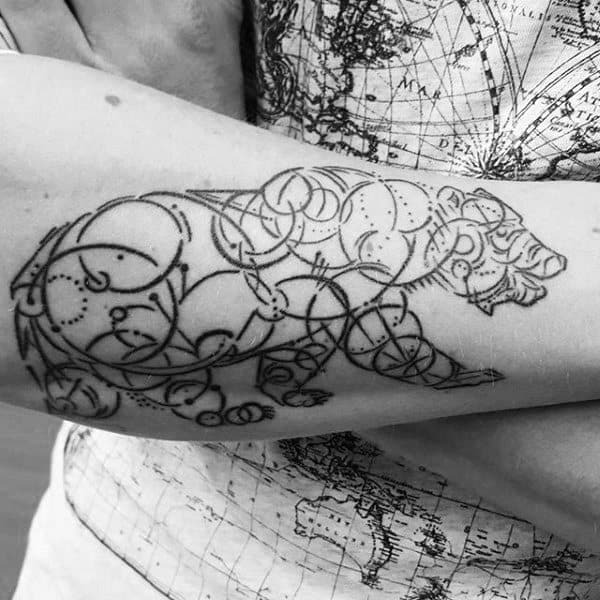 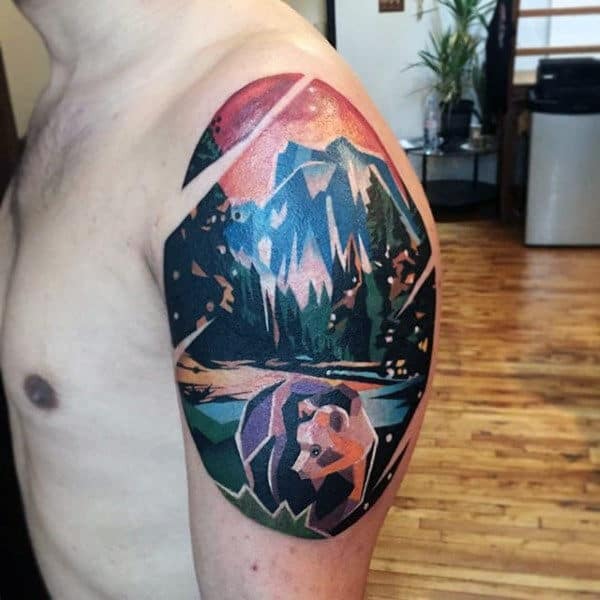 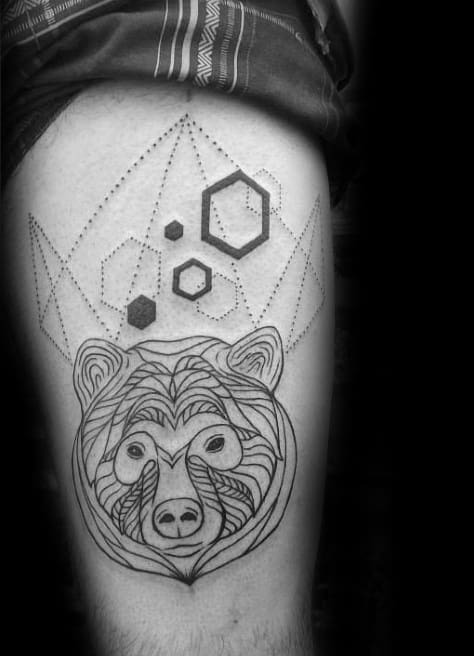 A geometric bear tattoo is the perfect way to encapsulate a “gentle giant” nature through the sleek, vibrant lines and colors of ink.